We have a variety of auto parts in store for your Buick, GMC vehicle. We hope to be more than just your local Miami area Buick, GMC dealer. We hope to earn your business in our parts and service department too! We get shipments of new parts every day, so usually it should be only a little while before we have the Buick, GMC part you’re looking for. If you need assistance getting to our shop, be sure you take give us a call at (786) 801-2497. 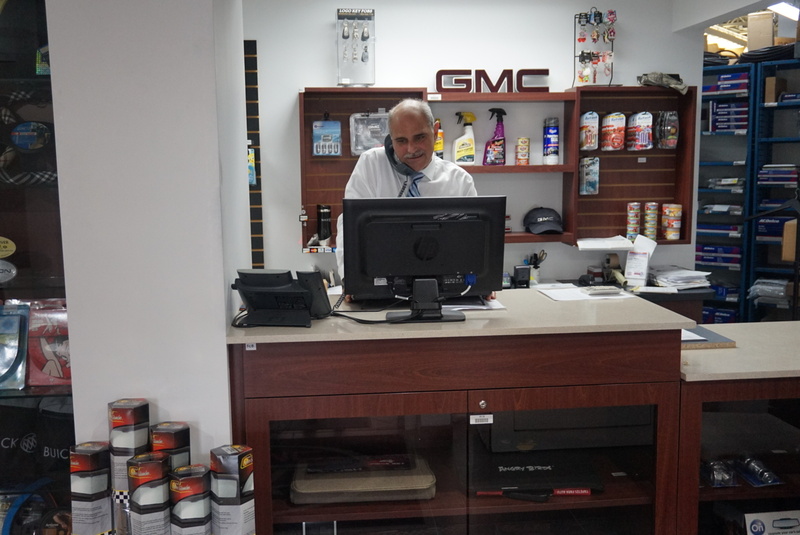 Our Parts Department is always ready to help you out whether you simply have a question or wish to place an order for a new part. Place an order using this simple online form or contact our Miami Auto Parts Department at (786) 801-2497 if you have any additional questions. Fixing your car or truck yourself might save you money on labor costs and help you understand your car better, but misdiagnosing the problem and installing poor or incorrect car parts is a costly mistake. The good news is, the helpful team at Lorenzo Buick GMC parts department can help you out! We have a huge supply of Buick, GMC parts in Miami available and can help you pinpoint the ideal part for your need and budget. The parts department at Lorenzo Buick GMC is just a short drive from Kendall or Homestead and is one of the largest Buick, GMC parts suppliers in Miami so it doesn’t matter if you require engine parts, brake parts or comforts added to the inside of your car or truck, Lorenzo Buick GMC has the car parts in Miami you need. If you need help figuring out the problem with your car and would prefer to have a trained Buick, GMC mechanic finish the work, make sure you set up a service appointment or give us a call at (786) 801-2440. In any case, we look forward to working with you soon!